I’m still more than a bit bemused by Destiny. 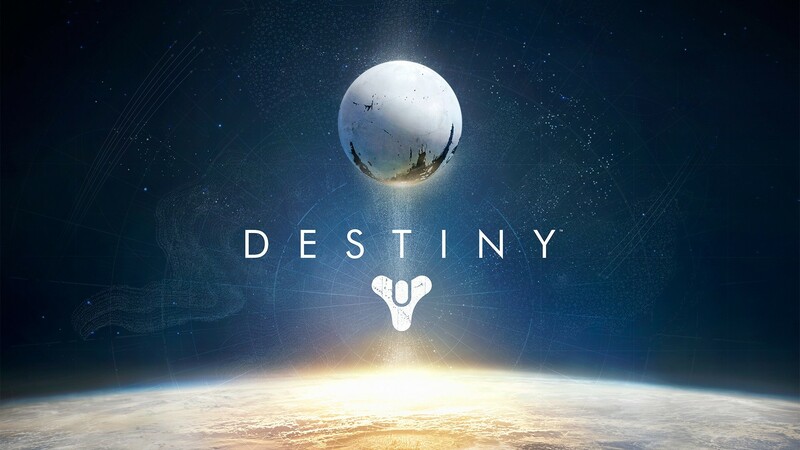 If you’ve been hiding under a rock for the last couple of years, Destiny is the newest game by Bungie, the company that created the Halo franchise. It wears its Halo colours proudly, as well as a few other things nabbed from other games – not least the excellent Borderlands series, and the MMO grind made successful by World of Warcraft. Let’s get this out of the way first: I’ve had plenty of fun with the game. Its core game mechanics are rock solid, and I don’t begrudge any of the time I’ve spent with it. In fact, I’m perhaps a bit more forgiving than most of the reviews I’ve seen. Destiny’s drawn quite a lot of flak for being a bit half-arsed about some of its systems: there are character classes that you can level up as you play, but they’re paper thin and don’t really reward different play styles; the open world sections aren’t large compared to a traditional MMO; the loot drops aren’t as engaging as Borderlands or Diablo III. All of these are true, but when I look at Destiny in the round, it’s currently the only game offering that exact mix of systems. It’s a bit of a jack of all trade, master of none, I suppose. It’s not deep, but it’s fun. However, I was talking about story, and story is the one place I simply can’t let Destiny off the hook. A tyrant’s authority for crime and fool’s excuse for failure. What’s the problem with the story? I hear an imaginary reader ask. Well, primarily it’s the fact that I’m not sure that there is one. I’m being a little bit harsh here, but not as much as you might think. A cinematic sets up the idea that the human race had a golden age – thanks to something called the Traveller (a planet-shaped white blob) – but is now on the verge of destruction, because the Traveller’s enemy, the Darkness (no, not this one – at least I don’t think so) is coming. That’s about it. Play through the game, and you’ll encounter the four (blandly-named) alien races that are acting as the Darkness’ footsoldiers, all the while being led by the nose through as series of ‘go here, kill that’ missions. What dribbles of narrative exist are spouted by your floating ghost companion. However, never once did I get the feeling that I was part of some vast counter-attack reclaiming humanity’s future – which is weird, given the MMO-like facets of the game. I suppose it’s supposed to evoke the feeling of you being a hero because you’re in the right place, at the right time, but it doesn’t quite work. I think it’s probably the first time I’ve completed a game and not been sure whether or not that’s actually what I’ve done. (Yes, I know that there’s more content coming at some point, but even the Hobbit films managed (just about) to have a beginning, middle and an end to them. I think I’m allowed to expect the same here). Remember the practice of the word ‘technobabble’ being used as a placeholder in Star Trek scripts? Well, it’s alive and well here, except I think I’d rather the placeholder had been left in. There’s seldom any real content to the ghost’s wittering, and only occasional flecks of personality. The player character hardly ever speaks, and then only in the rare cut-scenes. Want to know more about the aliens you’re fighting? Well, Destiny isn’t about to tell you. The names of the enemy troop types read like stopgaps, rarely evoking their character or behaviour. The Cabal, the main enemy on Mars, have perhaps the best-named troop types, but compensate by having a really badly named faction. Cabals are small, secretive groups, but these guys are enormous, bipedal tanks who (according to the achievements) are numerous enough to have an Emperor. Beyond names, there’s no lore embedded in the game at all, as far as I can see. Instead, you’re directed towards Bungie’s website, where you can read ‘grimoire cards’ that fill in the blanks. None of these things are deal breakers. Having a silent protagonist didn’t stop Half Life 2 from telling an awesome story, and goodness knows that technobabble is mandatory in almost any sci-fi setting. Nor am I entirely opposed to using the grimoire system as a way of drip-feeding more information about the setting. However, these things have all been introduced in a really wonky fashion, as if Bungie laid out all of their narrative tools on a table, and then proceeded to stab themselves in the head with them. Silent (or mostly silent) protagonists only work if there are other engaging characters to carry the narrative for them. Destiny has the ghost, and that’s about it. In occasional cutscenes, you’re introduced to the Speaker and an unnamed robot woman, (who has a mechanically angular face, but is remarkably curvy elsewhere, because ‘shut the hell up, she’s a woman, and the women in my head look like this’, I guess), but neither of them begin to fill the yawning void into which they’ve been dropped. Technobabble, at its best, is not just a more impressive way of saying ‘Pass me the screwdriver, Dave. This gromit’s come away something terrible’, it’s another window onto the world that you’re presenting. It never stands a chance in Destiny, where there’s practically no world to anchor them. They’re just words, floating around like blossom whilst pretty things happen onscreen. As for the grimoire, it needed to be accessible from within the game to prevent breaking immersion. I’m grumpily old-fashioned, I admit that, but cross-media only adds value if it actually adds value. I know that musicals and operas sometimes come with cheat sheet synopses to get you up to speed, but they don’t tell you anything that you can’t get from just watching the bloody thing. By all means, given me extra detail about the world of Destiny online, but I don’t think it’s too much to ask for the basic foundation to be laid out by the game itself. I don’t know, maybe I’m looking at this the wrong way around. Maybe Destiny wasn’t supposed to have a story. You know the kind of thing, a directive from on high that says: We sell first person shooters, people don’t care about the story or the characters. Just make stuff blow up. Maybe what we have was added at the last moment? I’d like to think not. I was never really a fan of the Halo series, but I know plenty of gamers did get invested in Master Chief’s and Cortana’s story. On the other hand, I’m not sure I like the idea that what’s presented in Destiny is actually the perfect implementation of someone’s narrative vision. Either way, there was scope for an awesome new sci-fi IP. Maybe the upcoming content will prove me wrong, and unveil a living, breathing world of awesomeness that makes up for the lacklustre start. Posted in Featured Blogs and tagged Video Games, Writing. Coldharbour is currently under development. Check back here for updates, teasers and exclusive previews. Coldharbour, all associated characters, and fictional settings are Copyright (c) Matthew Ward 2015.